Okorocha Endorses Business Mogul, Idiga For Orlu Senatorial Zone, Slams Sen. Hope Uzodinma. In a bid to ensure that his new party (All Progressives Congress) APC completely takes over the political structure of Imo State in the next dispensation, Governor Rochas Okorocha has endorsed business mogul, Chief Felix Idiga for the Orlu Senatorial seat come 2015. Orlu senatorial seat is currently being occupied by senator Hope Uzodinma, of the peoples democratic party PDP, and is also the senatorial district of Governor Okorocha. African Examinergathered that the recent endorsement of the business tycoon by the governor, has forced Secretary to the Imo State government, Prof. Anthony Anwukah, who was initially nursing similar ambition to shelve it. Only recently, at a public forum the Imo state scribe, had openly stepped down his much touted senatorial ambition, to enable Chief Idiga clinch the seat. Chief Idiga, will be doing battle with the incumbent senator representing the zone, Chief Hope Uzodinma, member representing Ideato State Constituency, Mrs. Eudora Igwe (Okwesilieze) as well as many others, who are also interested in the seat at the upper chamber of the National Assembly. Speaking Monday during the grand finale of Chief Idiga’s empowerment scheme at Amaifeke, Orlu, Governor Okorocha described Chief Idiga as a genuine businessman who has used his wealth to attract developmental projects to every nook and cranny of Imo State. “Idiga, has used his personal money to develop Orlu, Oguta, Mbaise, Emekuku, Mbano, name them. If he can do much using his private resources, you can imagine what will happen when he represents you. You have to ensure absolute freedom by supporting him. “He is the kind of people Orlu people will send to the Senate to be able to get their due share from the federal government, not those who will use your money to buy Range Rover Jeeps for big men while those who voted them into office continue to wallow in poverty”. In his remarks, at the event, the SSG, who was former Vice Chancellor of the Imo State University (IMSU), said he decided to drop his ambition to enable a more capable person represent the zone. According to Prof. Anwukah, as a private person, Chief Idiga had outclassed most elected representatives in terms of providing infrastructural development. “But, some of our brothers are in Abuja, collecting our money without working for us. We definitely need a change because a bad man is a bad man any day”. In his speech, Chief Idiga said he had attracted over 50 roads and electricity projects to the state especially, Orlu Zone. He regretted that most of those roads had been claimed in the papers by some Abuja-based politicians as their achievements in the last three years. Apparently alluding to Senator Hope Uzodinma, Chief Idiga said I’m a genuine businessman. I fought hard for every thing I have. “We’re not coming to dash our people dollars, but we’re coming to help them make the dollars. If God helps us, our children will be source of livelihood for their parents”. Chief Idiga who had been empowering thousands of the people of the zone through his foundation, called JAFAC, stated that, the essence was not political, but to assist in reducing poverty in the land. 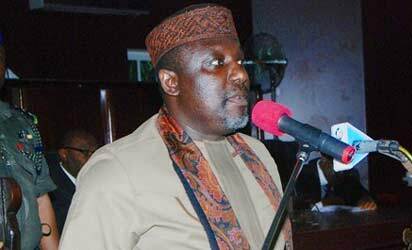 Bribery and Corruption Disguise, Okorocha commends Imo NUJ for Under-reporting of Atrocities in the State. Ikemba Ojukwu Centre, Heroes Apartment, the Imo Traditional Council, among others.Earlier, the Chairman of the day’s occasion and the member representing Ideato Federal Constituency, Dr Eddie Mbadiwe, said the ceremony was to strengthen the fact that the Press is essential in the development of any nation and urged members of NUJ never to compromise their jobs but remain focused as watchdog of the society.In his address of welcome, the state chairman of NUJ, Sir Innocent Igwe said the Press week is a time set aside to review the activities of the union in the State and proffer critical solution where necessary to ensure that journalists carry out their constitutional duties uninhibited.The event was witnessed by notable politicians from the state and beyond while the highlight featured presentation of Grand Patron Award on His Excellency, Governor Okorocha for his exemplary leadership and passionate concern for others. As Corruption Deepens, EFCC Chases Rat In Imo State By Peter Claver Oparah. Last week, Transparency International, the global anti-corruption watchdog released its ranking of world corruption index among countries. Nigeria was ranked the 25th most corrupt nation on earth. This was a drop from the 27th position it occupied at the last ranking. To most Nigerians who are living witnesses and victims to the pervasive culture of corruption which has, under the Jonathan regime, been elevated to directive principle of state policy, this was a conservative rating and a flattering of a system that now rests solely on corruption. It is trite saying that corruption has completely overwhelmed the country as no day passes without stories of mind boggling corruption reported in all the sectors of the country’s governance. From the over N2 trillion fuel subsidy scandal to the looting of the pension fund, from the purloining of the police pension fund to the financial fraud going on in all federal ministries and parastatals, from the gargantuan oil theft scandal, which according to government officials, poses serious threat to the nation’s economy to the sordid details of the cleansing going on in the ant-infested oil industry, from the revelation that N500 billion had been stolen from the ludicrous SURE-P fund to the disclosure by the Customs Director General that the country lost a whopping N603 billion to abuse of import waivers between January and September this year, from the Aviation scandal otherwise known as Oduahgate to the now trending allegation of massive stealing of kerosene subsidy, from the looting of the excess crude account to the emptying of the foreign reserves, it is one long and endless story of bizarre stealing, looting and corruption, which has come to define the face of the Jonathan government. The audacious plundering has retched up a new breed of novou riche Nigerians, most with no known means of livelihood and some with well known criminal history. These have moved in to buy private jets, acquire massive landed properties and veered off into the new fad, which is ownership of universities. Conversely, Nigerians pass through the worst form of deprivation in the history of the county as life hovers on the barest of levels. The level of want in Nigeria is best captured by a recent World Bank report, which states that about 130 million Nigerians live bellow two dollars a day! This is an incriminating report for a country that had been harvesting unflagging oil boom for the past fourteen years the PDP has been in power. Strange enough, President Goodluck Jonathan, assailed on all fronts by wide scale criticism of his tolerant attitude to corruption, told Nigerians that our greatest problem is not corruption but ethnicism. Even recently, an anti corruption group in Switzerland, Berne Declaration revealed that the NNPC and a group of Nigerian and international oil traders dupe the country in the sale of Nigerian oil. The group revealed that Nigeria was short changed of over $6.8 billion between 2009 and 2011! One would have expected the overwhelming reports of wholesome looting of the country’s resources to overstretch an anti corruption agency like the EFCC. One would have expected the prison walls to be overstretched by the number of culprits held in respect of these criminal plundering. But not for the present EFCC. No one has been arrested, least of all prosecuted for these mind boggling acts of economic crime. No one is questioned, except when Nigerians rose up with heightened anger to protest the decision of the Jonathan government to pass the cost of the fuel subsidy scam on Nigerians through increased prices of petroleum prices. Jolted by the massive outpouring of Nigerians against such effort, the EFCC said it was going to take in and prosecute the fuel subsidy thieves. It moved in to pick one or two of them and these were quickly released and there the story ended. Of course Nigerians still pay for the prodigality of these thieves through high prices of petroleum products. They were merely rattled and left to continue plying their trade in a mock trial aimed to deceive the long suffering Nigerians. Of the other cases of monumental corruption listed above, the EFCC has not even betrayed any whimper of knowledge, talk not of arresting any person to answer for these infractions. And the sordid plundering continues in reckless and more audacious impunity. Last week, Imo State governor, Owelle Rochas Okorocha was to raise an alarm of what he called unrelenting EFCC harassment of the officials of his government. To those conversant with happenings and politics of Imo State, this alarm was long in coming as the EFCC seems to have relocated to Imo State for the sole purpose of harassing, intimidating and distracting the purposeful government in Imo State so as to make the state pliant for the return of the rapacious PDP whose 12 years tenure in Imo governance left the state despoiled, traumatized and prostrate. It is this disheveled story that the Rochas government has boldly been addressing since 2011 when he wrestled the entire armada of the PDP to get to power. Since then, neither the PDP hierarchy, the Jonathan government nor the dislodged mandarins who ate down the state in twelve years have rested in trying to re-launch the good old days of wanton free loading. The PDP, which has been pining and ruing the loss of the feel good days is being commissioned by the presidency, eager to boost its sagging flanks, to launch a warfare in Imo State and the EFCC is the arrowhead of the war. That was the message Okorocha was sending when he raised the alarm and discernible Imo citizens know this fact. They know that EFCC has made it a duty to make ceaseless rounds in Imo State, arresting officials at will based on the many specious and outlandish petitions the moths and rodents that people the state PDP generate against the state government. Imo State for the nearly three years Okorocha has been in power, has been one of the laudable stories of recovery from the waste laying between 1999 and 2011. All sectors have been targeted in a massive effort to recover the years eaten away by the locusts and the state has picked up its pieces from where Mbakwe left it. 305 brand new model schools are being built all over the state, state pupils in primary, secondary and state owned tertiary institutions are enjoying a historical free education replete with other accompanying accoutrements, all the decayed roads, streets in Owerri, Orlu and Okigwe have been recovered, rebuilt and remodeled while fifteen kilometers of rural roads have been constructed in each of the 27local councils in the state. Twenty seven modern hospitals are being built in the 27 local councils in the state while all the colonial relics and kitchen lines that formed the face of government buildings for the period the PDP renters wrecked the state, have all given way to modern edifices and structures that compliment a modern civil service. Employment and jobs are being created and filled in through the community councils that targets even and effective distribution of resources to all the communities in the state. These are few of the land breaking features of governance which never existed in Imo for the twelve years the PDP, through such amorphous groups like apex leaders, stakeholders, god fathers, etc despoiled the state ate down the state. The Imo state chapter of the PDP and its national hierarch are not pleased with the good fortunes of Imo people and that is why they have sworn to ensure that Governor Okorocha does not nick a re-election. It does not matter if they have nothing, just nothing, to advertise as their achievement in power for twelve years while Okorocha has a bountiful harvest to show for his brief tenure at Douglas House. They now live in forging frivolous petitions against the regime and trusting the EFCC which has become the political hatchet dog of the PDP to launch an unending war against the Imo government. They freely boast of this even when they have pending questions of what they did with the twelve years allocation of Imo State still shoveled under EFCC’s bulging carpet. They believe that by 2014, when Governor Okorocha would be standing for re-election, they would have mutilated his achievements and soften the ground for their comeback but they are gravely mistaken for Okorocha is etching his achievements in indelible imprimatur and in the minds of the ordinary Imo man and this will defy the erasing capacity of the minions in PDP. It is instructive that the funding for these nefarious operations in Imo State is from the well heads of corruption that has been opened in the present government, as reported above and which should form the primary business of an EFCC concerned about the culture of corruption that is ravaging the country at present. I am not against directing the klieglight on those in power and this should be made clear. I however believe that such klieglight should be on real and provable cases of economic crimes-the type being perpetrated under the nose of the EFCC by the federal government, which is threatening to bury Nigeria at present. Since the EFCC started its self-deceitful fancy ride round Imo, it is yet to publish any worthwhile report that indicts any Imo government official and it has not brought any official to prosecution yet it won’t stop and attend to the overwhelming evidences of corruption that mire the PDP federal government because it is a mere hatchet in the hands of PDP. Running rings in Imo where evidence of prudent management of state resources is even obvious in the sheer volume and impact of projects that have been undertaken these past two and half years, is like searching for needle in a haystack. Nigeria is being ran aground by corruption and the EFCC knows this. It is rather preoccupied with chasing rats all round Owerri in deference to the consuming narrow interests of the present PDP government while Nigeria crumbles. We wish them luck but they should remember that whenever the history of the sordid present is compiled, they should expect to be rightly captured on what they did to encourage the rot of the present. Not Again, say no to Ngige and APC Islamising Anambra like Rochas Okorocha in Imo State. Vote for Owelle Rochas Anayo Okorocha, and the entire Imo accepted. Why because he has Igbo name and we thought he will be better than the then tyrant Ikedi Ohakim ! Imo people ask who bigot this son of the devil? The answer is no. What can Imo people do now that he is turning their sons and daughters into Boko Haram members? Time to place bounty on Okorocha’s head in Biafraland or he will do worst that this video portrayed. Owerri people, Mbaise people, Orlu people and other Imo people wake up and deal with this embodiment otherwise we cannot say that we did not see it when we became under pressure for a man that we all voted for. Do it your way let’s stop this Hausa man from destroying our land and culture. Native doctor poses as Vice-Chancellor in Imo dupes more than 5,000 admission seekers. The quest to acquire education at all cost has lured more than 5,000 students into the net of a self-styled medical practitioner and leader of a criminal gang that specialises in extorting money from unsuspecting candidates seeking admission into higher institutions. The suspect, Fidelis Chukwujindu was apprehended by the police while conducting common entrance examination for the victims who reportedly purchased the admission forms at N8, 000 each. Chukwujindu, who was later discovered to be a native doctor, was eventually nabbed at the premises of his non-existent College Hospital which has the sign post “University College Hospital Ogboko, Ideato, P.O.Box 1960, Orlu, Imo State. The operator of the illegal college attracted students by printing flyers which he distributes to churches across the country, as most of the students claimed they came to know about the school through their pastors. But a visit to the site makes one wonder how a sane person could possibly fall for such a scam. The administrative office has just a single desk. The accused, who made several claims to buttress his competence of running the ‘college,’ which is sited opposite the proposed site of the Imo State University and adjacent to Rochas Foundation College, said he was an acclaimed Americantrained medical doctor. He was, however, found to be a native doctor. He said that he had the permission of the State Government and Federal Ministry of education to run his non-existent college hospital. He also claimed to be a product of the prestigious Harvard University, America. According to the suspect, “I won a Federal Government scholarship to study abroad, but was incapacitated by an accident which disfigured one of my legs and I was flown back to Nigeria where I later decided to set up the college. We were just conducting entrance examination in preparation to take off in a month’s time when the police swopped on us.” He told newsmen at Ogboko that to open such an institution does not require the approval National University Commission, NUC. “It is just how you manage the school that matters, not NUC or any other regulatory body. Moreover, this is a college and not a University and as such I did not obtain approval from the NUC. I went to the Federal Ministry of Education, Abuja, severally where I obtained approval and it is affiliated to the University of London,” he maintained. Assisting the suspect, who claimed to be the vice –chancellor of the university college hospital, was a middle aged woman later identified as Ngozi Ayoha. The woman, who initially said she was deaf and dumb, caused a stir when it was found that she was the Dean of Faculty of Medicine of the illegal college. But when the duped ‘students’ revealed that she was pretending, she decided to open up. She said that she was a drop out from a School of Nursing and that the owner of the illegal college was training her to complete her nursing profession. It was learnt that the woman asks calls and attends to students who come to seek admission into the college. Some of the swindled ‘students’ told Saturday Mirror that they were lured into believing that the school was approved by the various information the owner of the illegal school passed to them. Judith Kanu of Ndiogbuonyeoma Uno, Arondizuogu in Ideato North LGA of Imo State said she got to know about the school through her pastor who gave her one of the flyers. “When I got to the place I was told that the school is accredited by NUC and that it is also affiliated to a university in London. But we were surprised when the police surrounded the premises when we were taking the entrance examination,” she said. Judith, who applied to read laboratory sciences, had intended pursuing Medicine as her first choice and Pharmacy as second choice. According to her she had always dreamt of being a medical doctor. Also speaking, Favour Nwabue of 8, Oni Street, New Benin, Edo State, who said she is from Ihiala LGA, Anambra State said her intended course of study was Nursing and that she chose the course to “serve the masses.” Parading the suspect with his victims before newsmen, the Commissioner of Police, Mr. Muhammad Katsina, explained that one striking thing about the strategy of the gang was that they carefully selected the site opposite the Imo State University, Ogboko, and adjacent to the Rochas Foundation College, Ogboko, to convince their victims of the genuineness of their business. “This is a primitive catalogue of illegality by a self-acclaimed medical doctor who dubiously paraded himself as a product the prestigious Harvard University, America, but who is nothing but a native doctor. And more than 5,000 people from various parts of the country in search of education have been swindled by this young man”.